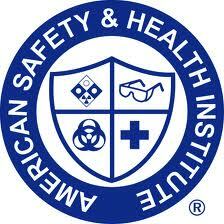 The American Safety and Health Institute(ASHI) is the victim of a mail-related crime. Thousands of falsely marked letters have been sent to ASHI training centers and customers containing disturbing and offense material. The ASHI is warning people not to open the letters and refuse the delivery. If you receive the letter and do open it, they would like you to report it as a mail-related crime. Law enforcement is involved, but saying it is a hard crime to prosecute because it is not traceable. The ASHI is not aware of any data breach, but those addresses are publicly available. They are warning their customers to be aware of the situation and take extra precautions with any materials sent to them. For more information on the situation check out the ASHI blog. If you would like more information on CPR and First Aid Training options available online or through instructors fill out the form below.